The Location: Novi Sad is the center of Vojvodina, northern province of Serbia, famous for its multicultural history and active artistic and technological scene (e.g., music festival Exit). With a prestigious night life combined with the warm and welcoming character, Novi Sad offers inexpensive prices for lodging and dining, compared to the neighboring EU. If you’re in Novi Sad or nearby during these dates, this is the place you want to be! Our goal is to gather all the communities from the region, continent and the World in an effort to hack, play, learn, pass knowledge and exchange experience. 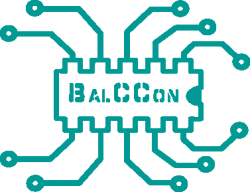 BalCCon aims to become the central hacker community in South East Balkan, as well as to provide an opportunity for all people in this part of Europe to connect and to cooperate. Online submissions only: All submissions of lectures and workshops have to be entered into our conference planning system, which is located at the following URL: https://frab.balccon.org/en/Balccon2k19/cfp/session/new. Please follow the instructions there. If you have any questions regarding the submission, you are welcome to contact us via e-mail at orga (at) balccon.org. Talks should be no longer than 45 minutes plus 15 minutes for questions and answers. Longer slots are possible in principle. There are 20-minute slots as well. Please tell us the proposed length of your talk at the time of submission. In addition, there are 5-minute short talks (so-called Lightning Talks) for small ideas, projects, or rants. These will only be organized during the event.